While much of what I have learned about making salami, sausages, and other charcuterie projects has been by making it, most of those efforts have been backed by reading up on the subject. I get a lot of emails from readers wanting to know where to start, and many want to know which of the books that are out there on the subject are worth buying. Sifting through the literature is surprisingly easy: I have found fewer than 20 books that deal seriously with the subject, and I own 12 of them. because he deals mostly with fresh sausages. While that is indeed charcuterie, what I am focusing on here is cured meat. What I have found is that there are two main types of books: French influenced and Germanic-Slavic influenced. I have found only one good book that focuses on Italian charcuterie, and one on Spanish and none on Portuguese sausage-making. I’ve also found two main styles of book: Those written by a professional sausage-maker, aimed at other professionals or very serious amateurs; and those books written by writers and chefs who have delved deeply into the subject. Each are useful.
. This is definitely the “one book” on charcuterie, and is a hybrid of the genre: Written by a professional writer (Ruhlman) with a professional chef and sausage-maker (Polcyn) looking over his shoulder. Ruhlman’s ethos is deeply French, while Polcyn is a card-carrying member of the Kielbasa crowd. This book answered a great deal of my questions as I began learning the craft (although I did not start with this book), and it has been consistently useful even as I have moved beyond its instruction. But anyone serious about the craft must view “Charcuterie” as a first step, not a bible. I have very little to quibble with in this book, but for the sake of safety (legal liability?) 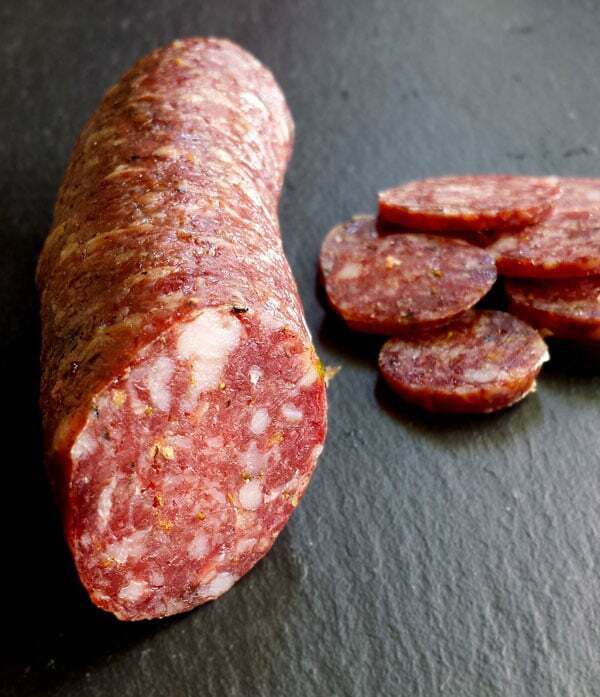 it does oversimplify important matters such as starter cultures for salami, how much nitrites you can use and get away with safely, as well as questions concerning the length and temperature and humidity levels when curing meat.
. This is the book you simply must own if you are going to get serious about making salami — nearly all dry-cured salami are fermented, by the way. This is the book that discusses in depth the variables Ruhlman and Polcyn do not. It is also a book by a professional for serious amateurs or new professionals — it’ ain’t bedtime reading, let me just say. , by Marcel Cottenceau, Jean-Francois Deport and Jean-Pierre Odeau. Start with Kutas’ book, as it is cheaper. Kutas is of course in the Kielbasa camp, and has tons of recipes for Polish, Russian and German sausages and hams, especially smoked products. Kutas also has an easy-to-understand discussion of sanitation and equipment needed to do this right — as he should; he’s the founder of the company The Sausage Maker. Kutas is of course a professional sausage-maker, so his writing isn’t fabulous and his recipes are solid, but are very Americanized. Not so much for the French book. I would only recommend “Professional Charcuterie” for a really serious charcutier, as I have never seen the book sell for less than $100. It is also geared toward pros, the English translation leaves a lot to be desired and the photos are laughably dated — 1982 called, and it wants its curly parsley garnishes back.
. Written in 1967, this book is the only thing approaching literature that I have yet found among the charcuterie books. Grigson’s recipes are lyrical and diverse, and her recipes for petit salé (a kind of streaky bacon) and boudin noir are keepers. 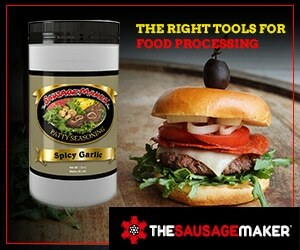 Grigson’s failure are those recipes, however. They were written in an era where more people possessed actual cooking skill, so she take a great deal for granted in her text. I can follow them and enjoy reading them as points of departure for my own projects — but I’d be lost and potentially in trouble safetywise if I had not read books like Ruhlman’s or Kutas’ first. — a dated but classic 1980s work. You can almost see the nasturtium flowers on the plate when reading this one, but I am nonetheless happy to own it, if for nothing else than her recipes for lamb crepinettes and lamb ham. And I can’t wait to try her recipe for a sausage made with chicken livers — only I will use wild duck liver. Another reason to buy Wise’s book is because if you look online, you can often find it cheap; my copy only cost a few dollars plus shipping. , she doesn’t delve too deep into cured meat.
. Now Bertolli’s book is only partially about charcuterie, but the section of the book devoted to it is thorough, detailed and serious. This book was my first in-depth look at cured meats (I had made fresh sausages for years), and as a first look it did feel like jumping into the deep end of the pool. Bertolli makes liberal use of equations to determine the amounts of salt, nitrite and starter culture in his product. But he’s right, and I learned those equations and have become a better salumiere for it. “Cooking by Hand” may be the single greatest book in this list, by the way. Its discussion of pasta and Bertolli’s method of designing a menu were, in a small way, life-changing experiences for me.
. Both contain excellent discussions of curing meats, and both are exceptionally good with offal — another of my obsessions. Both books are well worth buying, although I am concerned with Henderson’s seeming hatred of crispy things and of the color green. My faves in Whittingstall’s book are his corned beef recipe and his rendition of the Italian air-cured beef bresaola. He also has an interesting cotechino, but I have been unable to find a hog’s bladder to make it properly. Sigh. Incidentally, it is Henderson’s recipe for dried, salted pig’s liver that I used as a basis for my own cured pork liver (Remember that mangalitsa hog I got?) Henderson’s real gift is with offal. and Fritz Sonnenschmidt’s truly awful Charcuterie: Sausages, Pates and Accompaniments. Kinsella’s book is OK, but it lacks focus and depth — it is neither as clearly written as one would expect for a layperson’s book, nor as detailed as one would expect for a professional book. Sonnenschmidt’s book is downright dangerous, with several serious errors that could potentially make eaters of these recipes ill. This is all something of a mystery as Sonnenschmidt has a reputation as being a master of the craft. Editing error? Good luck, and if you make something special I’d love to hear about it. Great list of books, thanks for this. And if anybody is in the UK and looking to get into charcuterie, I can thoroughly recommend River Cottages “Pig in a day” and “Meat Curing and Smoking” courses. Steve Lamb is very passionate, very knowledgeable and has a wonderful teaching style which will make you want to start as soon as you get home. Finally, River Cottage also publishes Steve’s book, Curing and Smoking. This is an excellent beginner’s book and also includes a number of Italian recipes, as well as other countries. I just purchased Ruhlman’s Charcuterie along with “Home production of quality meats and sausages” by Stanley Marianski. Has anyone used that Marianski book, the reviews on Amazon were very good. I also purchased “The artisan Jewish deli at home” which isn’t exactly a charcuterie book but should have some useful stuff in it. I’ll let you know what I think of the books once I’ve put them into use for awhile. What about The Art of Charcuterie by the Culinary Institute of America?